Formed in 2000 through the merger of Hain Food Group and Celestial Seasonings. Acquired Tilda in 2014. EWG's 2015 report "BPA in Canned Food" analyzed 252 canned food brands to find out which ones are still using BPA (bisphenol A), a synthetic estrogen found in the epoxy coatings of food cans which has been linked to many health problems. This company was amongst the 'Best Players' for exclusively using BPA free-cans. This company's products are guaranteed 'cruelty free' and carry the Leaping Bunny logo. 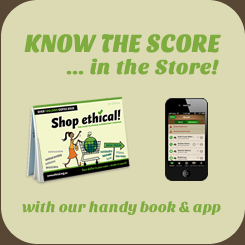 This company has products rated GREEN in the Centre for Food Safety's True Food Shopper's Guide (USA). Companies on the GREEN list have made a concerted effort to avoid GE ingredients and have company policies asserting their position on avoiding GE foods. Rank a Brand searches the websites of brands for the answers to carefully targeted questions. From this they calculate sustainability scores based on the themes of environment, climate, labor issues, and transparency. Brands owned by this company received an 'E', the lowest possible score. In their 2017 report 'Feeding Ourselves Thirsty', Ceres looks at how food sector companies are responding to water risks. 42 companies were assessed on a 0-100 point basis across four categories of water management: governance and strategy, direct operations, manufacturing supply chain and agricultural supply chain. This company received a score of 17/100. In 2015 this company agreed to settle for nearly $10 million a class-action lawsuit in California alleging the company falsely labeled its Avalon Organics and Jason brand personal care products as organic. This company is a member of the World Cocoa Foundation (WCF), an international membership organization representing more than 100 member companies across the cocoa value chain. WCF is committed to creating a sustainable cocoa economy through economic & social development and environmental stewardship in cocoa-growing communities.